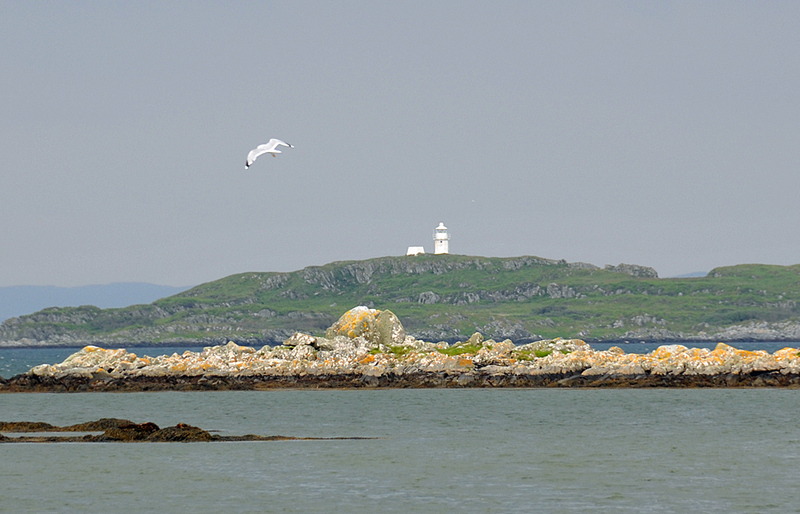 A view of Eilean a’Chuirn lighthouse in the southern skerries on the south coast of Islay east of Ardilistry. This view is from the shore on Islay. This entry was posted in Cloudy Weather, Landscape, Lighthouses, Repost and tagged Eilean a Chuirn, Islay, skerries, Southern Skerries by Armin Grewe. Bookmark the permalink.